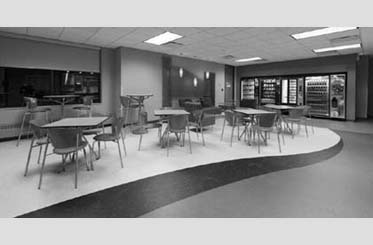 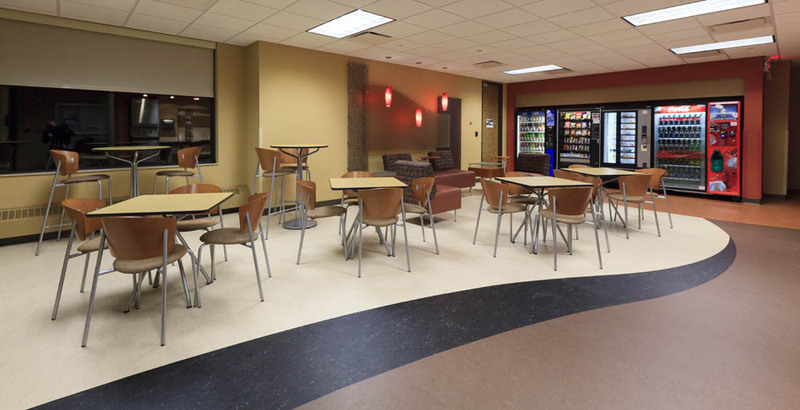 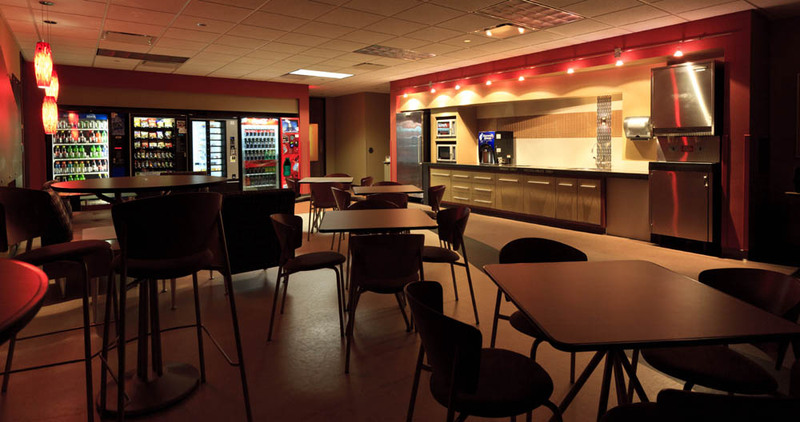 LexisNexis sought a fresh, modern look for one of its lunchrooms. 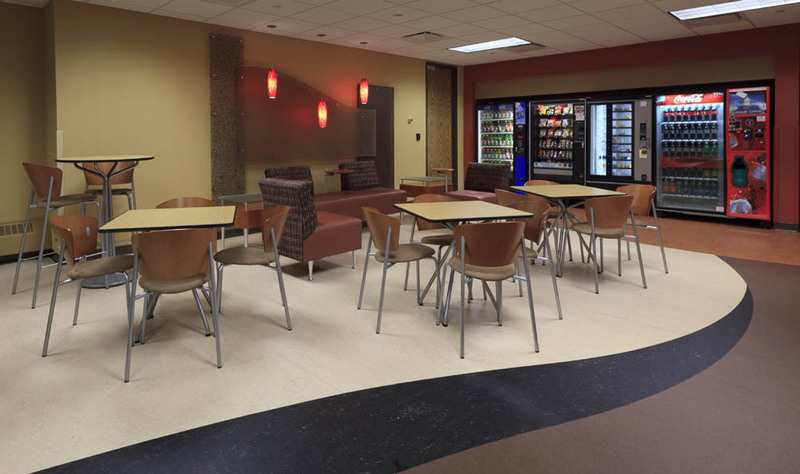 The renovation created a new open floor plan to improve traffic flow as well as updated amenities with new vending machines and a modern kitchenette. 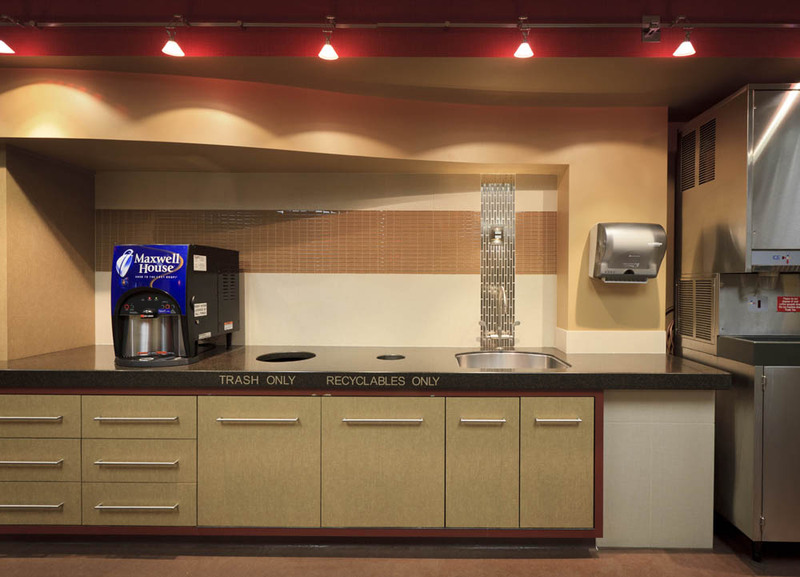 The new kitchenette features an ice maker, sink, refrigerator, two microwaves and coffee dispenser, as well as countertop openings for recycling and trash. 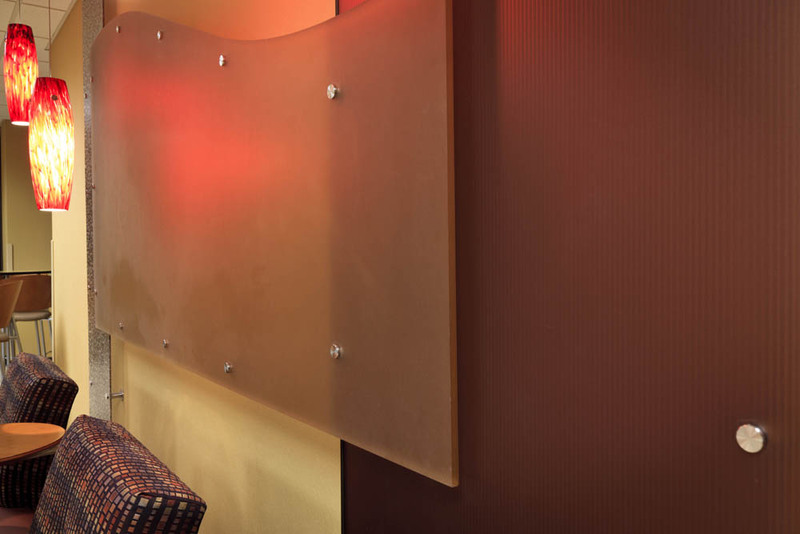 A soft seating area and decorative eco-resin wall panels introduced a new element of comfort and interest. 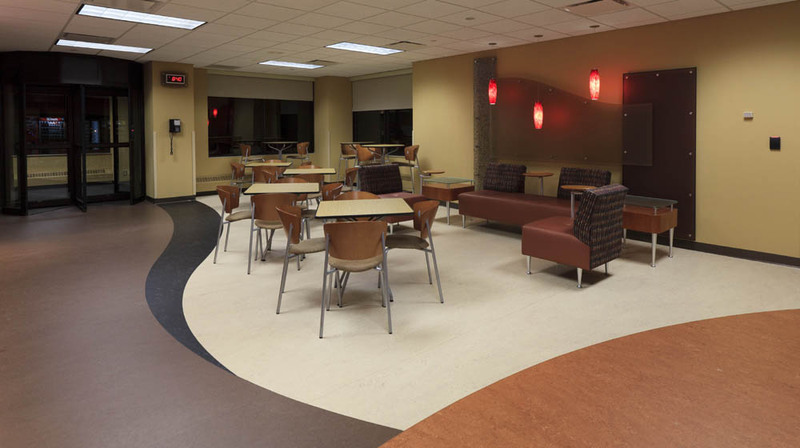 Upgraded finishes such as new sheet linoleum flooring, cabinetry, countertops, vinyl wall covering, paint, window shades and suspended acoustic ceiling tile were selected for a more contemporary feel. 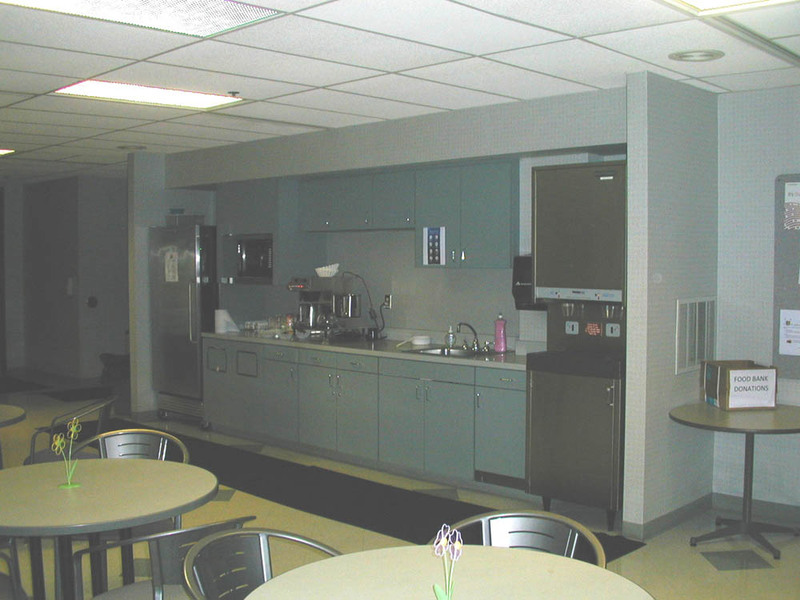 Existing interior wood doors were refinished and accented with decorative etched glass lights to allow natural light to penetrate into the adjacent corridors. 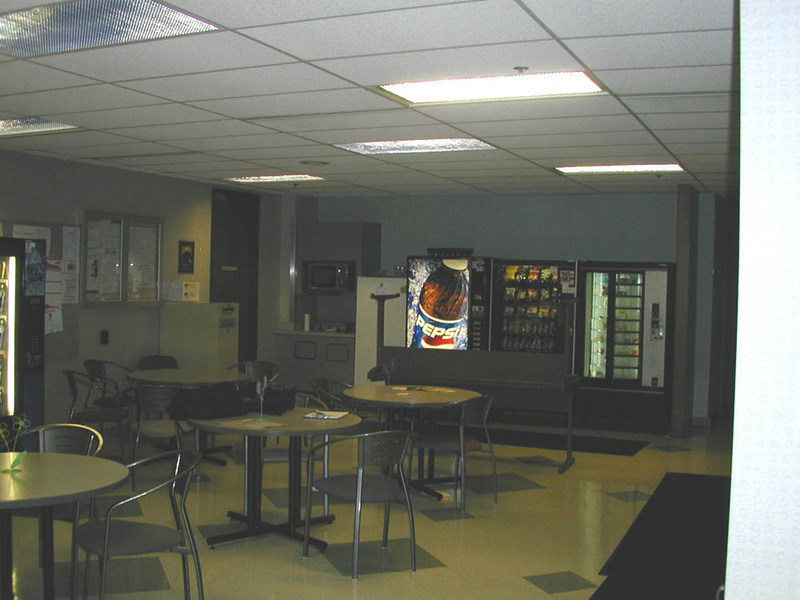 The plan incorporated energy-efficient task and decorative lighting and low-maintenance finishes to withstand heavy daily use by employees.